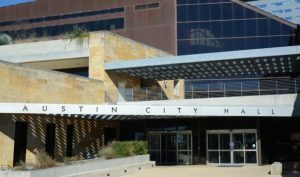 Joya Hayes, director of the city’s Human Resources Department, misused city resources and abused her position by directing staffers to care for her child while Hayes attended meetings, according to a complaint filed by the Office of the City Auditor. The allegation came to light last week when the Ethics Review Commission posted its agenda for this week’s meeting. The complaint against Hayes is one of three the commission is scheduled to discuss. The complaint was filed by Brian Molloy, chief of investigations for the auditor’s office. The complaint states that the city auditor’s office “received multiple allegations of abuse and waste” against Hayes related to employees taking care of her child. On one occasion, Hayes asked one of her employees to take the child to daycare so that Hayes could catch a flight. Hayes told investigators that on at least four occasions the employee had taken the child to daycare, to the employee’s home or to the home of one of Hayes’ relatives.